Aug. 29, 2017, 11:53 a.m.
By Shan Wang @shansquared Aug. 29, 2017, 11:53 a.m.
You may have noticed: Interest in news out of and about Russia is high these days. “In 2016 and 2017, for reasons that I’m sure are fairly obvious, there was a spike of interest in the U.S. in stories coming out of Russia,” Ivan Kolpakov, Meduza’s editor-in-chief, told me. 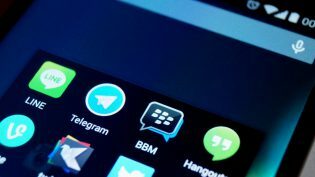 The partnership is editorial, and resources will be concentrated on joint investigations. BuzzFeed is paying for the investigations it commissions with Meduza, according to Kolpakov, though the sites will trade stories and Meduza translate occasional stories of its choosing from BuzzFeed, free of charge. Other exchanges: A Meduza reporter will sit in the BuzzFeed newsroom for a week to take in the BuzzFeed workflows; a BuzzFeed reporter will head to an annual conference Meduza puts on. Elder cited Meduza’s investigations on Russian cyber capabilities as one investigative topic of interest to both outlets. Both sides are interested in growing a global audience interested in Russia stories. BuzzFeed doesn’t offer a breakdown of unique visitors by country, but more than half the monthly unique visitors to BuzzFeed.com come from outside the U.S. (It current publishes in content in Spanish, Portuguese, Japanese, French, German, and Russian.) 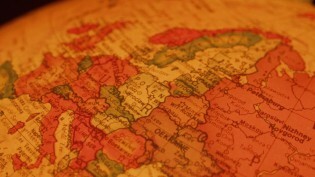 A quarter of Meduza’s readership — Meduza also has a complete English-language site — comes from outside of Russia. 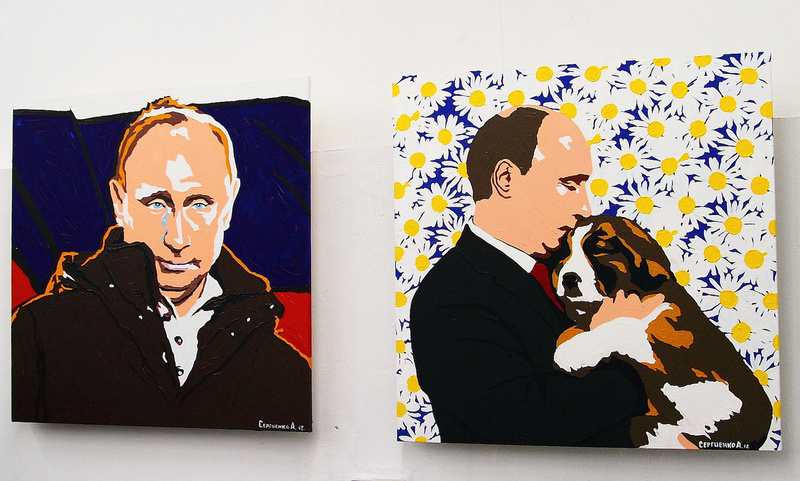 Photo of paintings of Vladimir Putin by Nicolay Volnov used under a Creative Commons license. POSTED Aug. 29, 2017, 11:53 a.m.
Wang, Shan. "Stories about Russia “are so hot right now” — so BuzzFeed is partnering with Meduza for more substantive Russia reporting." Nieman Journalism Lab. Nieman Foundation for Journalism at Harvard, 29 Aug. 2017. Web. 18 Apr. 2019. Wang, Shan. "Stories about Russia “are so hot right now” — so BuzzFeed is partnering with Meduza for more substantive Russia reporting." Nieman Journalism Lab. Last modified August 29, 2017. 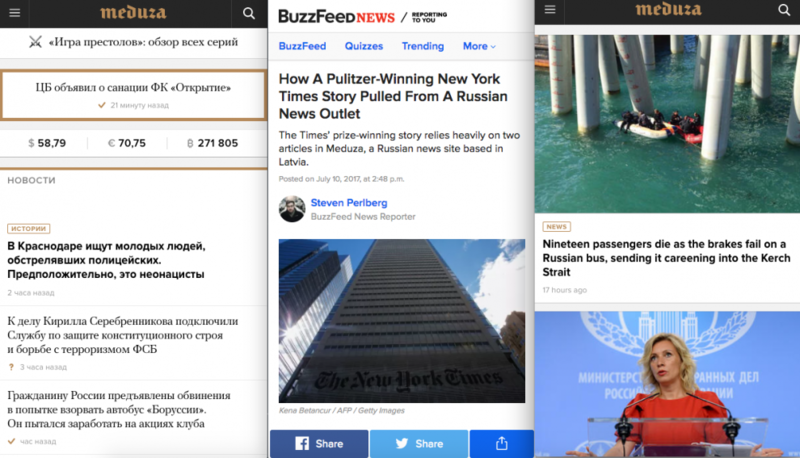 Accessed April 18, 2019. https://www.niemanlab.org/2017/08/stories-about-russia-are-so-hot-right-now-so-buzzfeed-is-partnering-with-meduza-for-more-substantive-russia-reporting/.